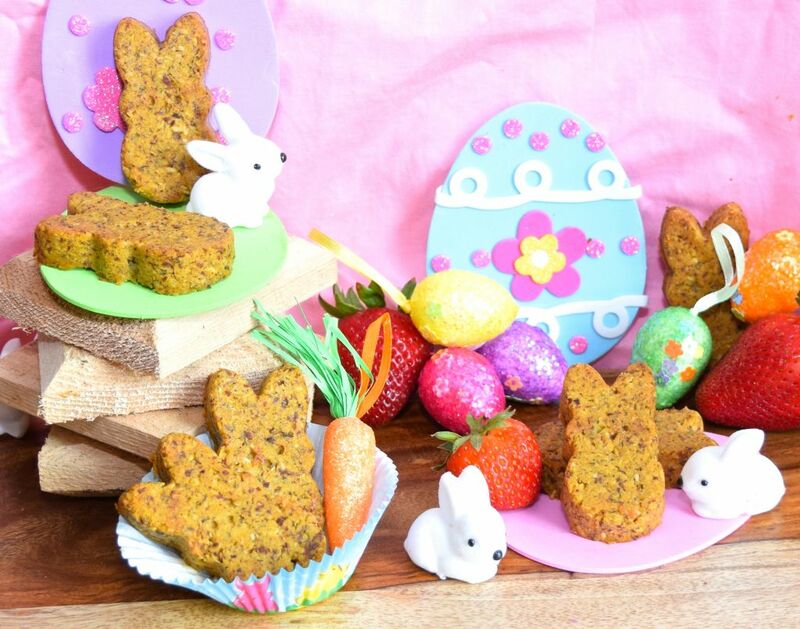 Are you ready for a healthy, fun Easter treat that both you and the kids will love? It’s amazing how much fun you can have with healthy, whole foods! 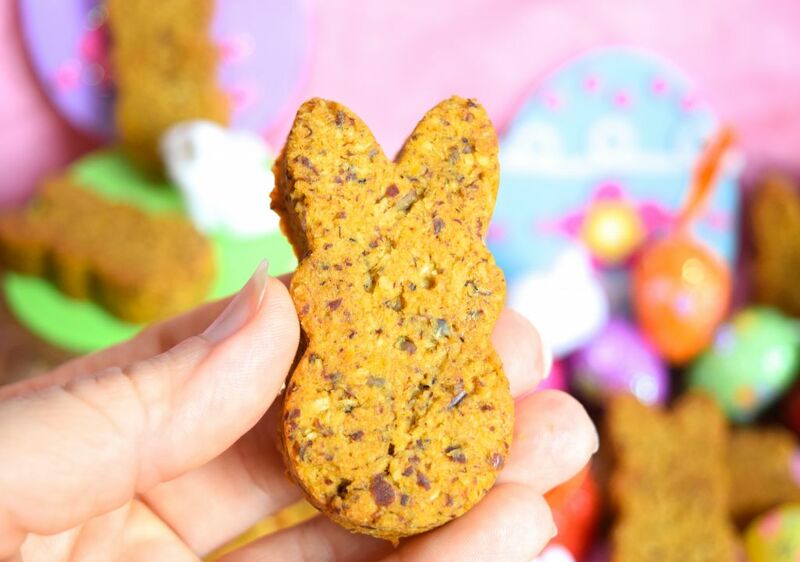 These Paleo Bunny Bites are delicious, easy, and full of healthy nutrients. They’re kind of like mini paleo banana breads. You can serve them with strawberries or other fruit for a delicious snack, dessert, or even breakfast. They only take about 10 minutes to prepare, plus the baking time, which is only 12-15 minutes! I’ve loaded these little guys up with coconut, almonds, and pumpkin. All of these ingredients provide you with lots of fiber, vitamins, minerals, and phytonutrients. Coconut and almonds are particularly good for diabetics, because they slow down the sugars as they enter your blood stream. Pumpkin is low in calories, but high in nutritional value. It can help lower your blood pressure, boost your vision, and make your heart healthier. Organic canned pumpkin is something I like to keep in my pantry all year round. For more information on the health benefits of pumpkin, check out this article. 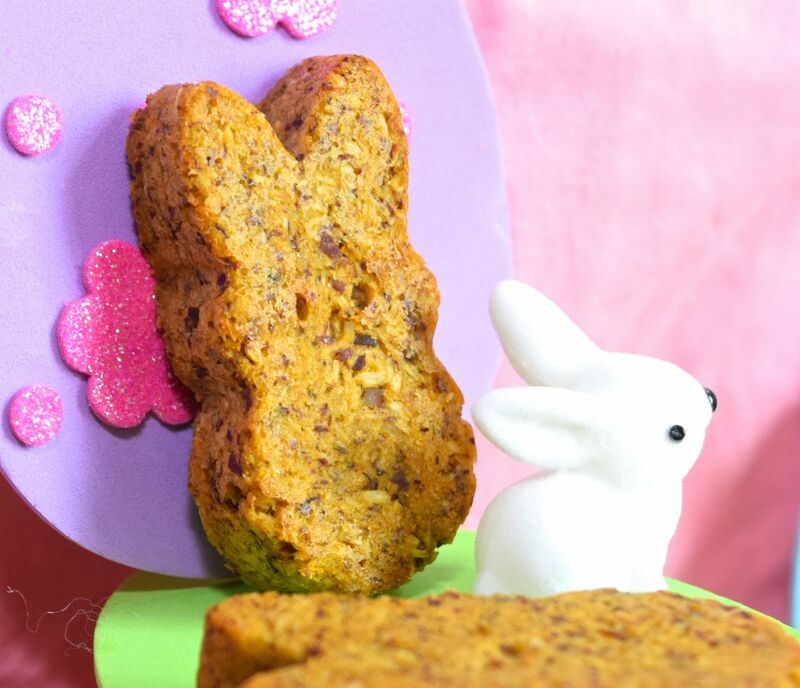 I turned these paleo banana breads into bunnies, but you can modify them to fit whatever season we’re in. Use a bunny mold for the spring, star mold for the summer, pumpkin mold for the fall, and snowflake mold for the winter. Or, just skip the mold and bake them like you would bake cookies. Of course the type of mold you use will affect how many treats you end up with. I used a peep bunny shaped mold, and ended up with 21 bunnies. I couldn’t find the link for the peep bunnies, but you can find the mold at most craft stores. Before we get to the recipe for the Paleo Bunny Bites, I want to invite you to join with others who are making healthy changes. I’d love to walk alongside you in your journey towards wholeness and health! Jesus said, “I have come that they may have life, and have it to the full!” Freedom from food addictions is part of having a truly full life. 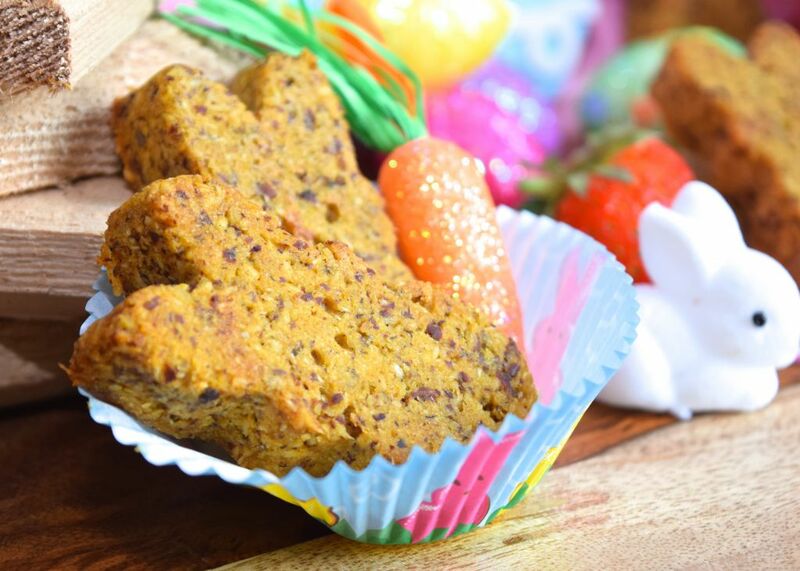 These cute little bunny bites are a delicious, healthy, fun breakfast, snack, or dessert! Preheat the oven to 350 degrees F and spray your bunny mold with coconut oil. Place all of the ingredients in your food processor and run it until you have a smooth batter. Fill the bunny molds almost full and bake for 12-15 minutes, or until the center is set. Let the bunnies cool for a few minutes, before turning them onto a wire rack. Enjoy with fruit! I used unblanched almond flour, because the skin on the almonds provides you with extra fiber. If you use blanched almond flour your bunnies will look a little different than mine. 5 Responses to "Paleo Bunny Bites"